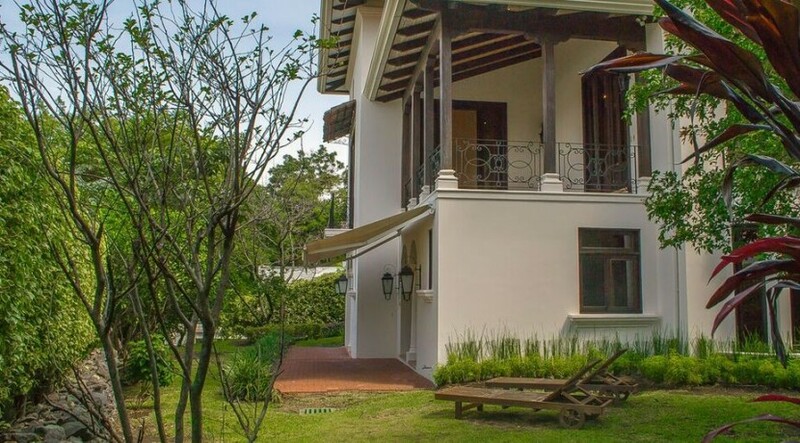 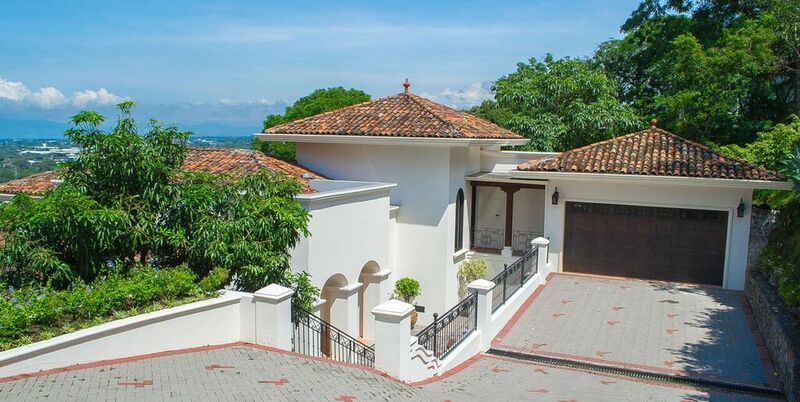 Nestled amidst the spectacular mountains just outside of San Jose, Costa Rica is this luxury villa in Santa Ana. 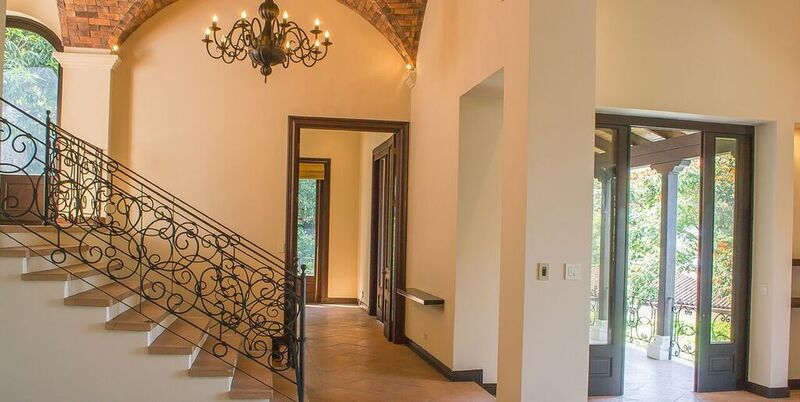 Toscana in Villa Real was built by renowned architect Federico Castro and boasts 450 m2 of stunning construction with beautiful mountain views and delightful design details. 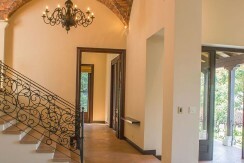 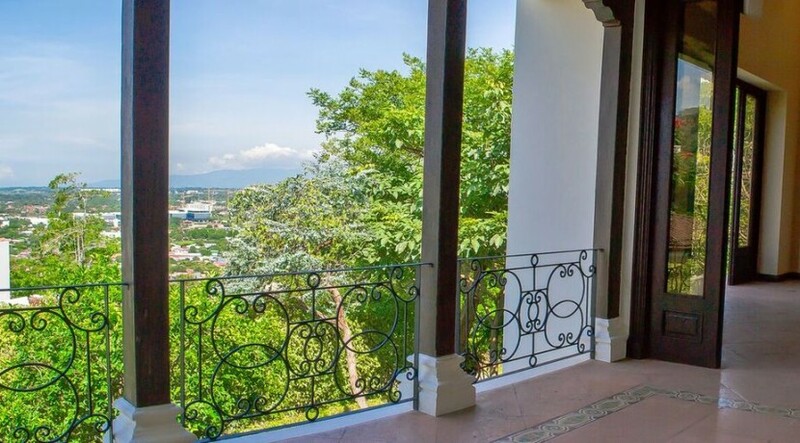 A true Tuscan villa, this luxury home is located in the prestigious and gated community of Villa Real on the west side of San José. 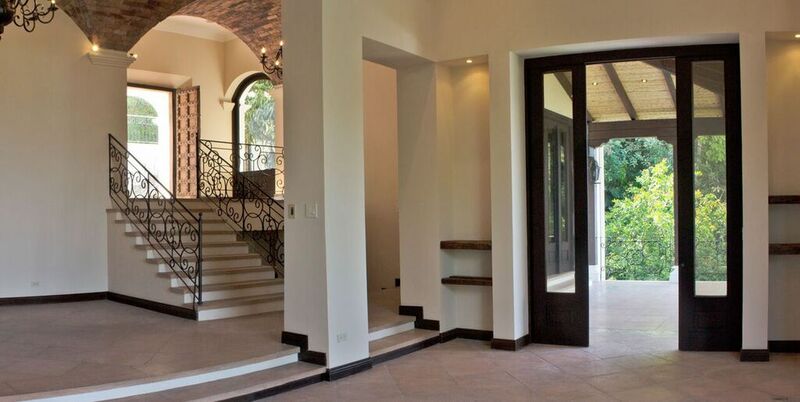 Enjoy splendid amounts of natural light in the living and dining areas through large windows and glass doors. 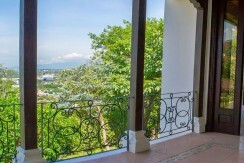 Doninelli flooring and wood details make lovely accents and add warmth throughout the home and the indoor spaces open to a peaceful terrace and gardens, ideal for enjoying the warm sun and mountain breeze. 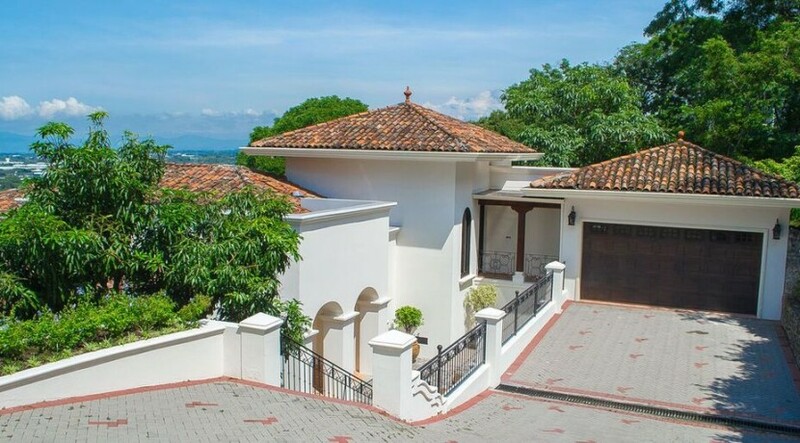 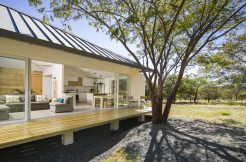 With a multi-level design, Toscana luxury home in Costa Rica, provides ample space for spending time with family and friends or in solitude with minimal interruptions. 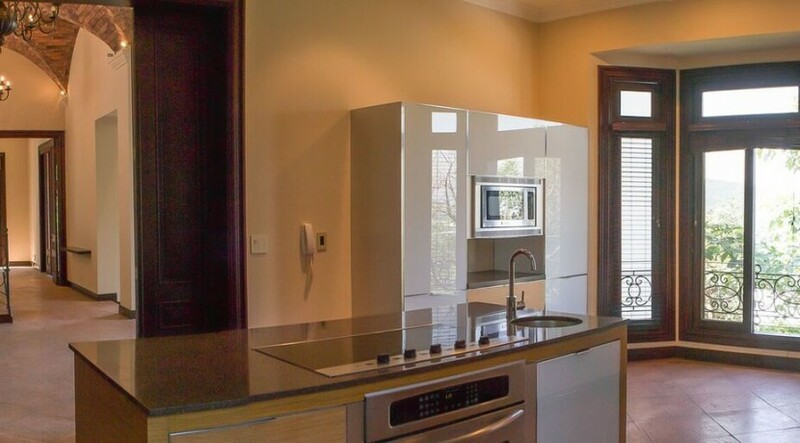 The kitchen is ideal for entertaining and was carefully designed to provide garden views. 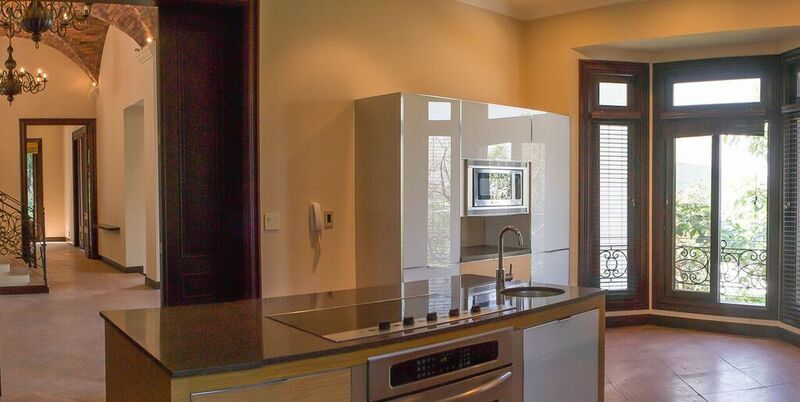 It is fully equipped with carefully planned cabinets, granite countertops and modern appliances – a chef’s dream! 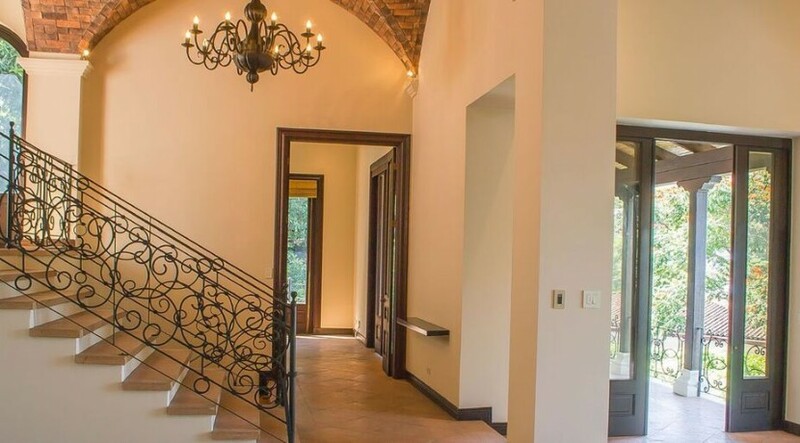 This Costa Rica luxury home features three bedrooms on the main level, each with its own private bath, including a large master suite with marble floors, walk-in closet and luxurious bath with marble countertops, dual sinks and hot tub. 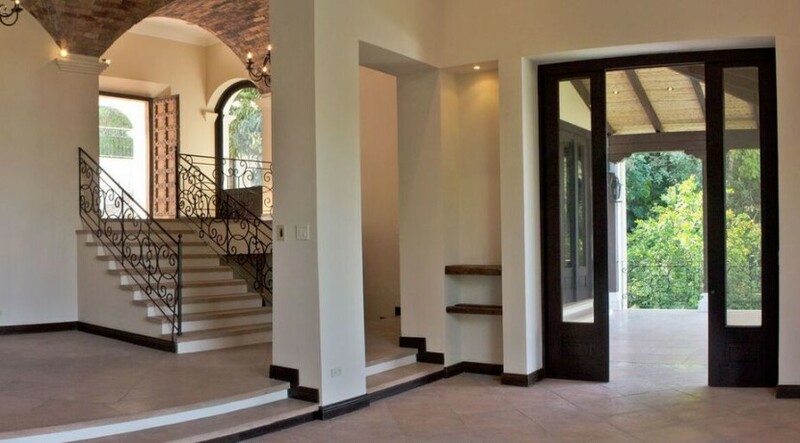 On the second level you will find another complete bedroom with bathroom and with a separate entrance that also can be used as an office or ultra-private guest suite. 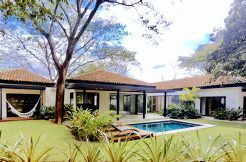 The service area includes complete maid’s quarters, a full laundry room, covered parking for 2 cars and a larger open parking space for more cars outside. 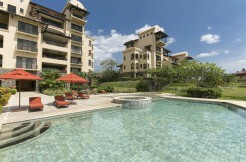 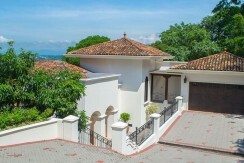 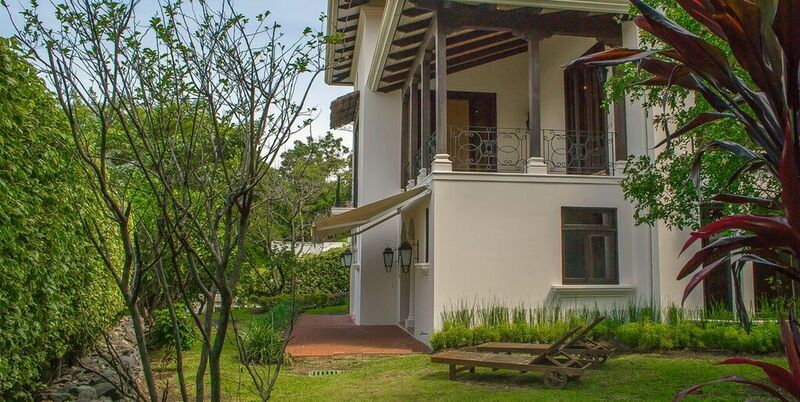 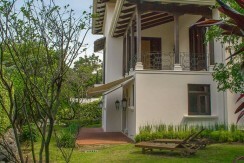 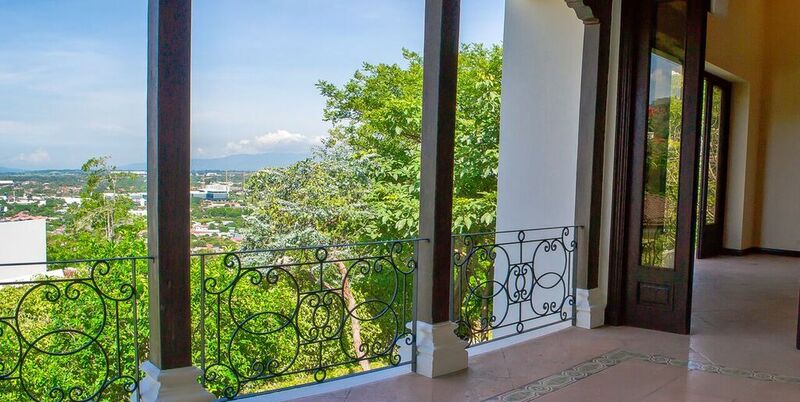 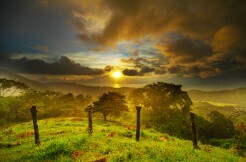 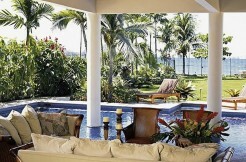 Toscana in Villa Real is an enchanting luxury home in Costa Rica. 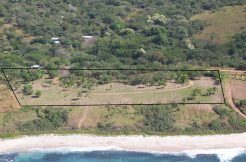 Inquire to discover this property today!